Reasonable Locksmithing provides electronic access control (EAC) services for maximum security for compounds and the like in the Cortlandt Manor LOCKS & LOCKSMITHS sector. EAC is a system that allows its user to allow or deny access to integral and confidential computerized information systems or actual physical compounds. EAC is generally used as a secondary or “back-up” security system in the Cortlandt Manor LOCKS & LOCKSMITHS community. In addition, Reasonable Locksmithing provides PC, MAC, and other web-based EAC solutions with single and multi-site access functionality. Furthermore we will provide you with control access readers and cards and I.D. tracking photo badges do prohibit unauthorized access and deter corporate malfeasance. Moreover, we can also provide you with edge devices that are only single-door enabled if security is of the utmost importance. Hence, Reasonable Locksmithing offers a wide series of EAC systems with various different features at different rates. For instance, our EAC systems’ access code range ranges from 150 to 3,500. Some of our EAC systems require pins, while others require proxies, smart cards, or all 3. Moreover, audit levels range from 4,000 to 40,000, Furthermore we provide exit, cylindrical, mortise, retrofitted, stand-alone, and BHMA/ANSI certified access controllers. The list of features and the various different series’ of EAC systems we provide literally runs the gamut. 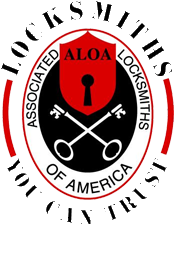 Moreover, Reasonable Locksmithing will provide a free consolation as well as an inspection of your establishment in order to assess the security needs of your complex before we recommend and implement one of our award winning EAC systems within your facility.